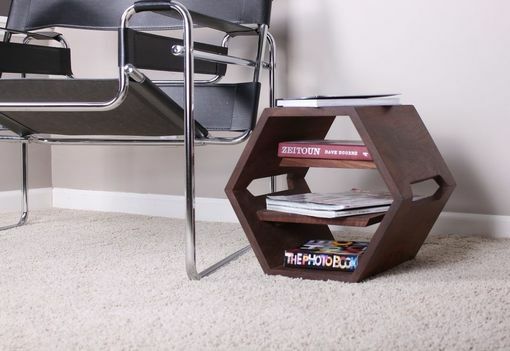 The sidehive is a small end table. 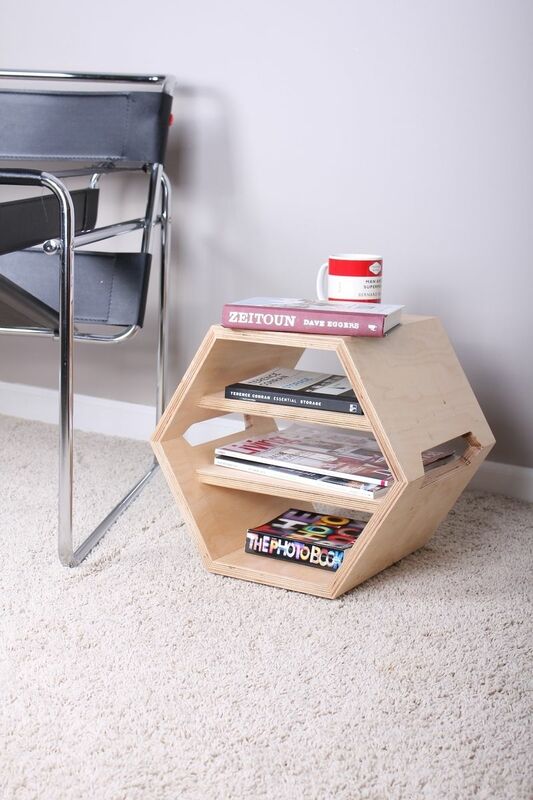 Perfect beside your bed or couch. Two shelves provide storage for books, magazines and remotes. 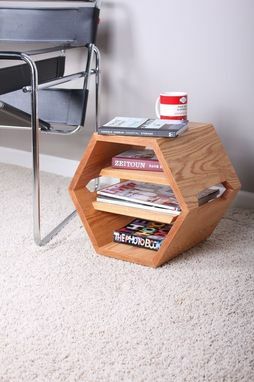 Made in solid walnut, Oak and baltic birch.